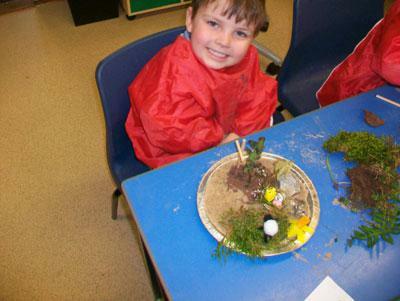 On Tuesday 22nd March the children made Easter gardens in school in preparation for the ‘Eastingle’ service in Saint Peters the following day. 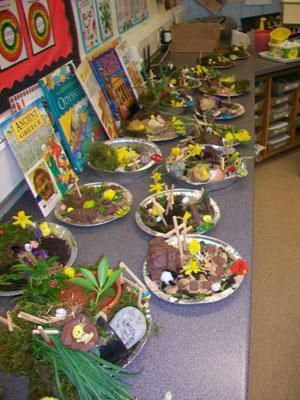 Each child brought in various items for their own gardens we had a great collection of flowers, pebbles, moss and greenery. The gardens looked fantastic. 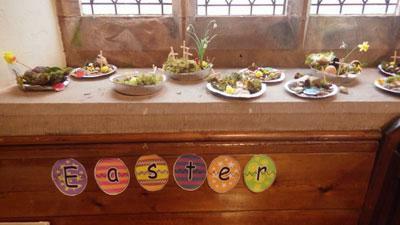 The children displayed these in church before the service which was lead by Sarah Lunn. The Year 6 children read parts of the Easter story to the congregation. 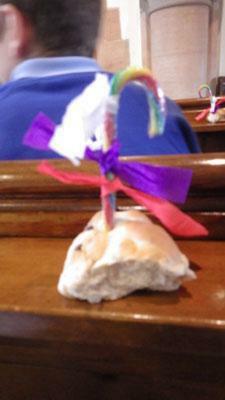 Each child was given a bag and inside it were a hot cross bun, candy cane and three pieces of ribbon. As Sarah told the story they assembled their Eastingle and learnt what each part represented. We sang three Easter hymns during the service. 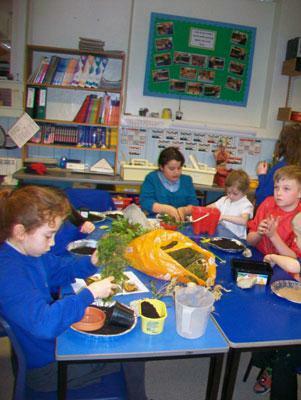 The Mothers Union kindly made refreshments and Friends of the school gave each child a chocolate gift. Pat Bevan kindly gave the school a sharing Easter egg.